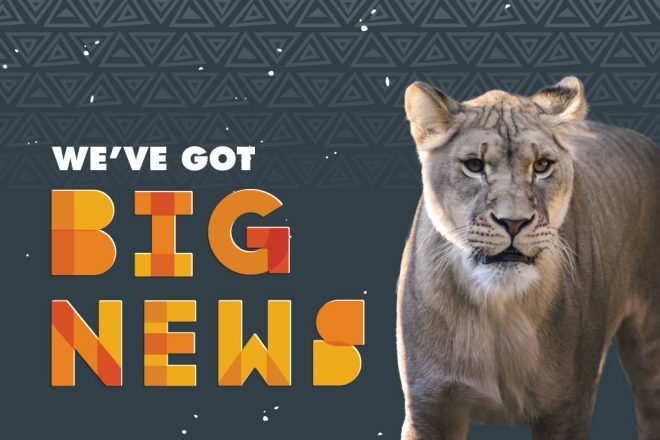 As the temperatures are cooling down, renovations to the lion, giraffe and elephant habitats are heating up, speeding up, and big things are going up! Take a look around in the videos and photos below and you’ll see new barriers, guest shade structures, rock formations and more! 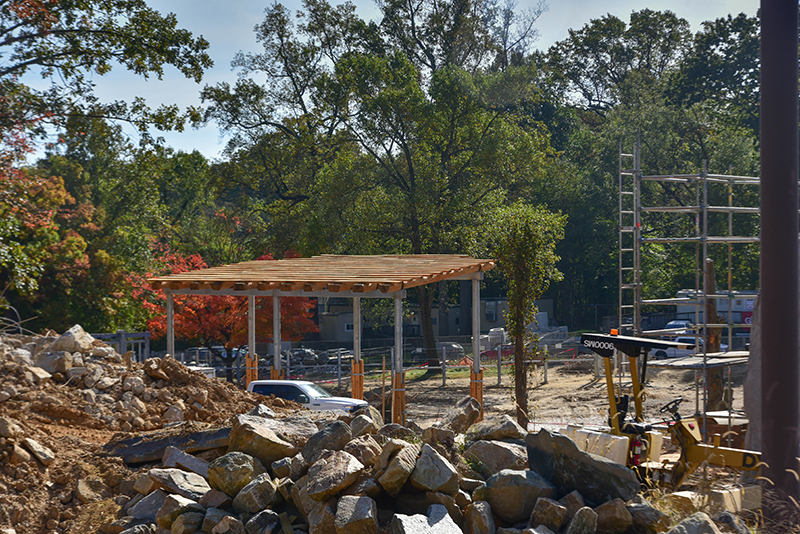 Things are taking shape in the giraffe habitat. 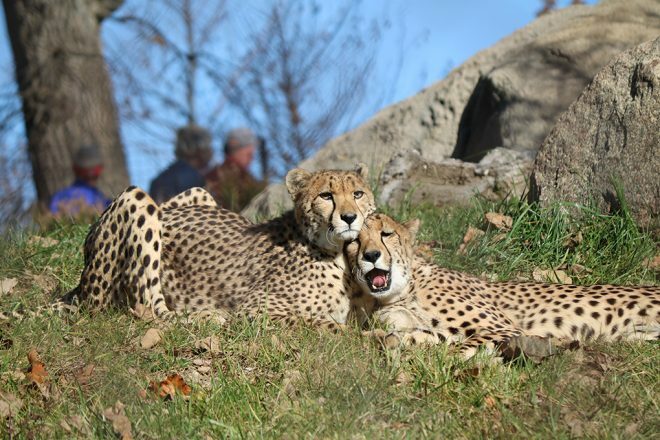 New rock formations called kopjes have been constructed at the Giraffe Feeding Station. 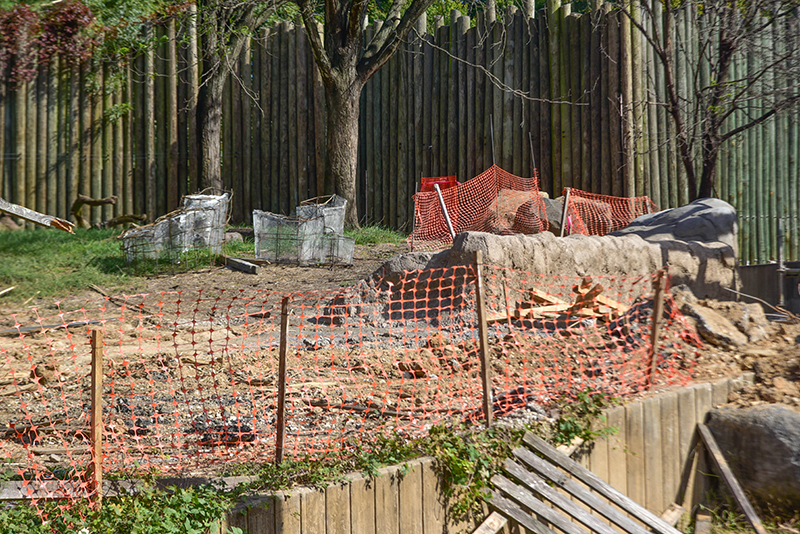 Meanwhile, on the other side of the habitat, the yard outside the Giraffe House has been significantly expanded and new barriers around the whole habitat are going up. 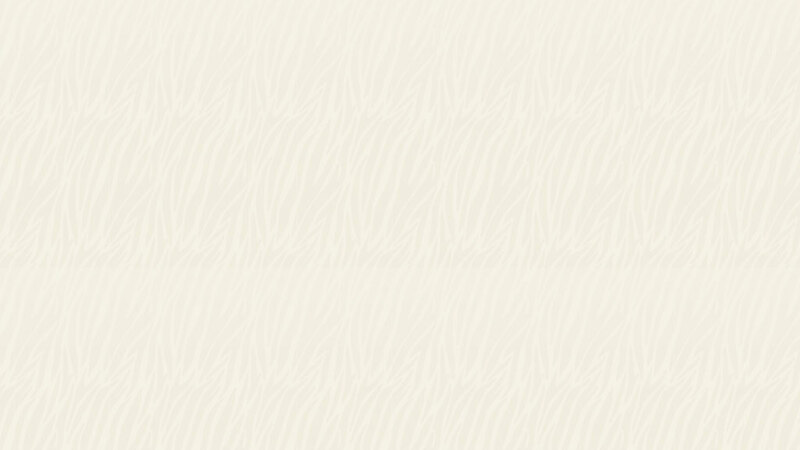 There’s been a major change in the landscape looking out from Giraffe Feeding Station. 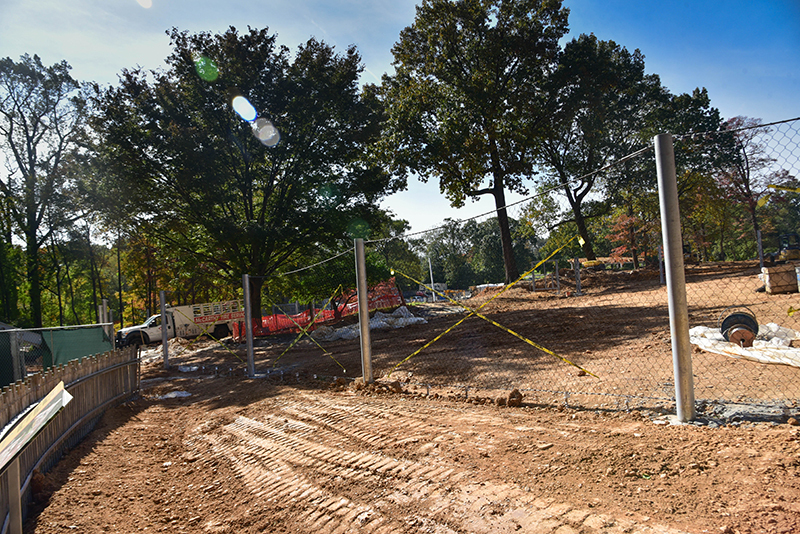 The large structure on the horizon will be the new lion viewing area! When it’s complete it will include floor to ceiling glass viewing and a training demonstration area. 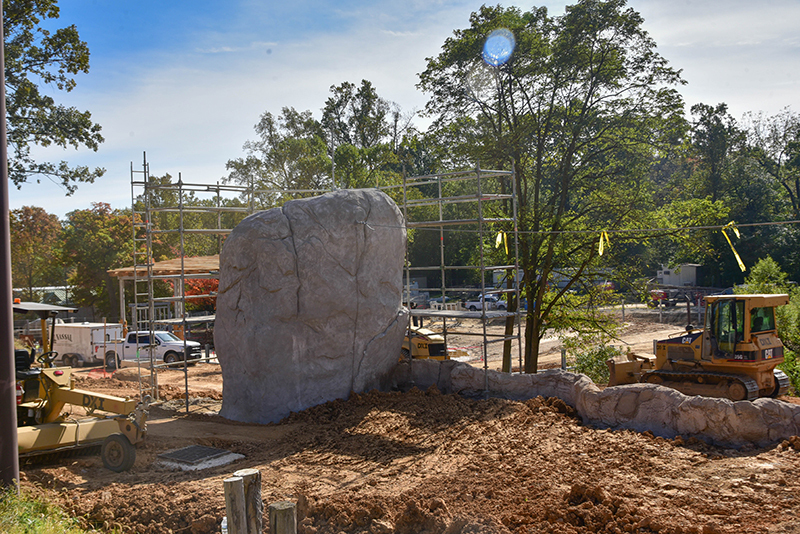 New rock formations are popping up in the lion habitat too. 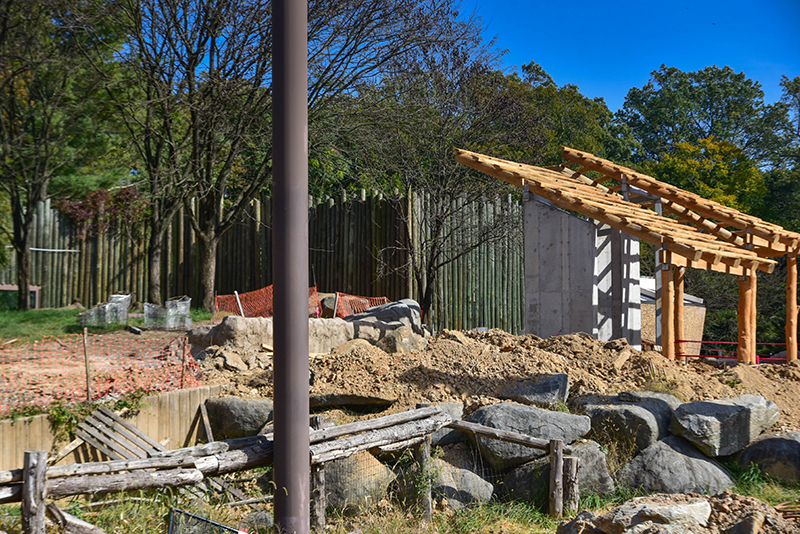 A new shade structure is complete in the future viewing area for large new elephant habitat.